Note: This item is always in stock even if it shows as back-order. Description: This board comes completely assembled with a GP1A57HRJ00F sensor. 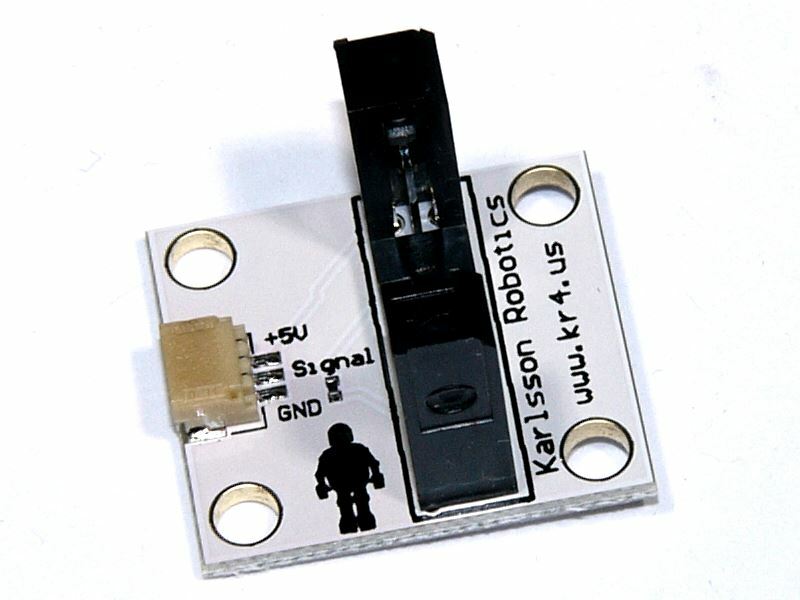 This sensor can detect when an object passes through the arms breaking the beam. 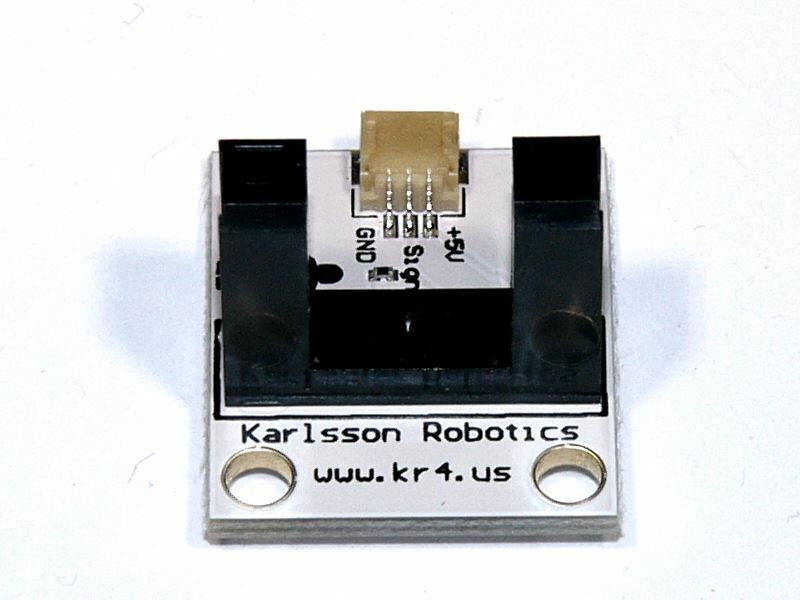 Use this sensor as an optical limit switch, to count pellets being dispensed, water drops, general object detection, etc. The gap is 10mm. 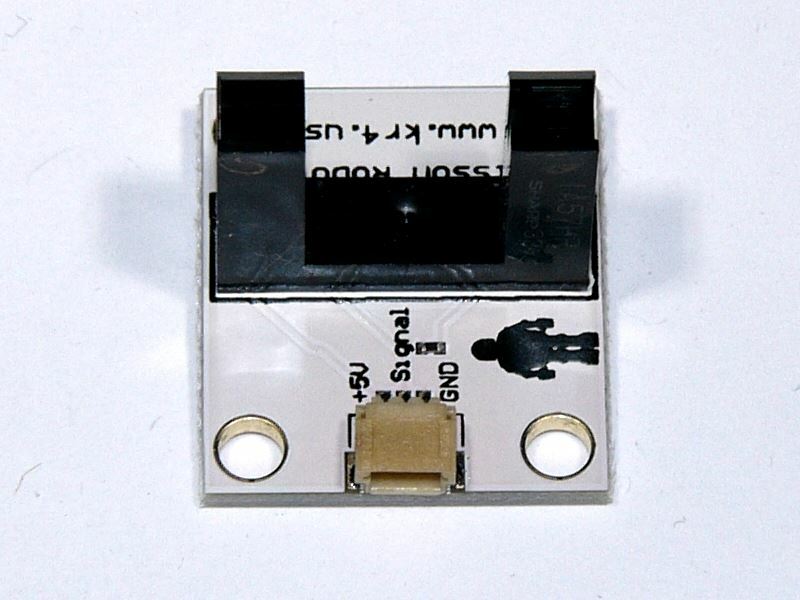 Please note that the connector on this board is a JST SH connector with a 1mm pitch. you can find the correct bale below in 'Related Products'. Mounting Holes are 3.2mm/126mil in diameter and are 100mil x 100mil in from each corner. Connecting photo interrupt to computer.